A twin pack of stretch cotton jersey trunks by HUGO. 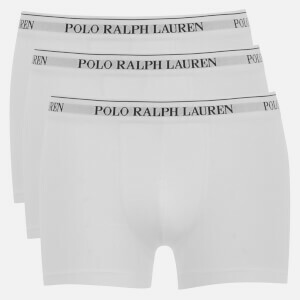 The set includes two plain white boxers, which are form-fitting with a low rise waist. Stitched seams enhance comfort combined with the soft cotton blend construction. The elasticated waistband is embroidered with a repeat brand logo in signature red.